Earlier this year, the US said it would bring in new rules for professionals seeking to apply for the H1-B, and would give preference to those who have completed a post-graduate degree from an educational institution in the US. The US Citizenship and Immigration Services (USCIS) Friday said it had received sufficient number of applications for H1-B visas to meet its Congressionally-mandated cap of 65,000 for the 2020 financial year that begins on October 1, 2019. The H1-B visa is given to non-immigrants to work in the US and is the most sought after by professionals. 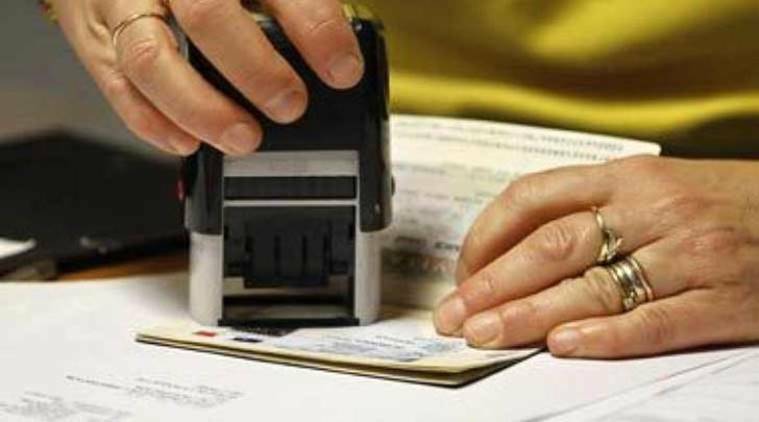 Several Indians seek to enter the US with H1-B visas. In a statement, the federal agency said it has received “a sufficient number of petitions projected as needed to reach the congressionally-mandated 65,000 H-1B visa regular cap for fiscal year 2020,” reported news agency PTI. The USCIS, which opened applications on April 1, has met its mandate in five days. However, it has not disclosed how many applications have been filed. Last year, it received 190,000 applications, while it 2018 it got 199,000. Under the new system, the USCIS said it expects a 16 per cent increase (or 5,340 workers) in the number of applications selected which are for candidates with a master’s degree or higher from a college in the US. “These simple and smart changes are a positive benefit for employers, the foreign workers they seek to employ, and the agency’s adjudicators, helping the H-1B visa program work better,” USCIS Director L Francis Cissna was quoted as saying by news agency PTI. “The US employers seeking to employ foreign workers with a US master’s or higher degree will have a greater chance of selection in the H-1B lottery in years of excess demand for new H-1B visas,” he added. US President Donald Trump, meanwhile, has called for selecting the “very best” among applicants.